Anyone who has had the opportunity to snorkel or dive on a healthy coral reef knows that few sights in nature are as breathtaking. From the amazing shapes and formations of the corals themselves to the many multi-colored creatures that live in the crevices to the shimmering schools of fish that seem to move as one, every inch of thriving coral habitat appears to be teeming with life. Coral reefs represent some of the densest and most varied ecosystems on earth. Though they cover only 0.2 percent of the ocean’s floor , scientists estimate that nearly one million species of fish, invertebrates and algae can be found in and around the world’s reefs. While reef habitats appear to be robust enough to withstand almost anything, they are extremely fragile. 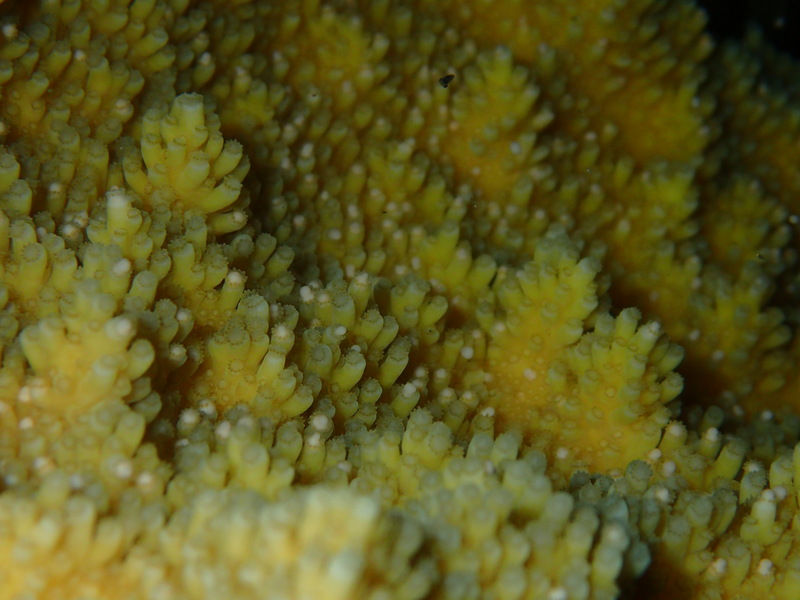 Not only are most corals brittle, but they usually need pristine, clear, warm, relatively nutrient-free waters to survive. Over the past 50 years, humans have put an enormous amount of pressure on coral reef environments by altering their waters and tearing up their foundations. The latest reports state that as much as 27 percent of monitored reef formations have been lost and as much as 32 percent are at risk of being lost within the next 32 years. Here in The Bahamas, Dr. Craig Dahlgren and partners like the Bahamas National Trust, BREEF, TNC, Cape Eleuthera Institute, Shedd Aquarium , Atlantis Blue Project and the Disney Wildlife Conservation Project are working together to find solutions to help rebuild threatened coral populations. 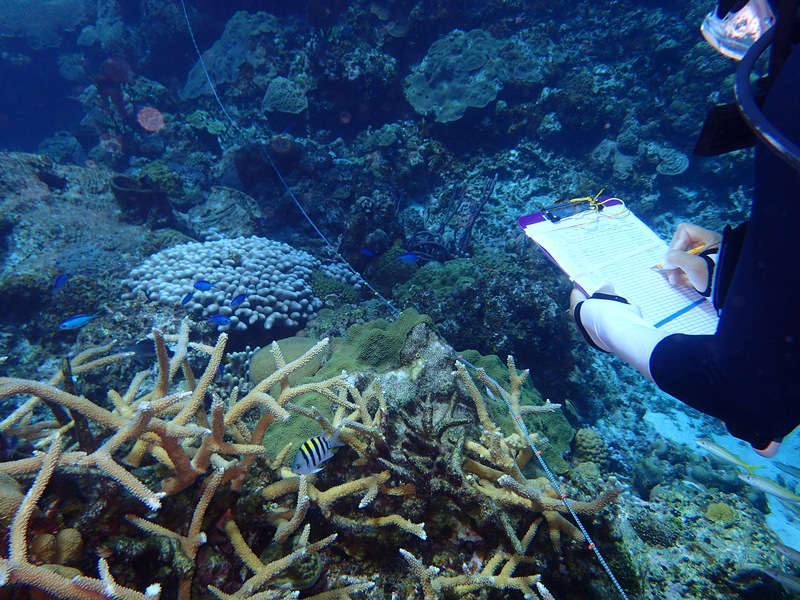 New advances in coral restoration can also facilitate the recovery of damaged reefs. 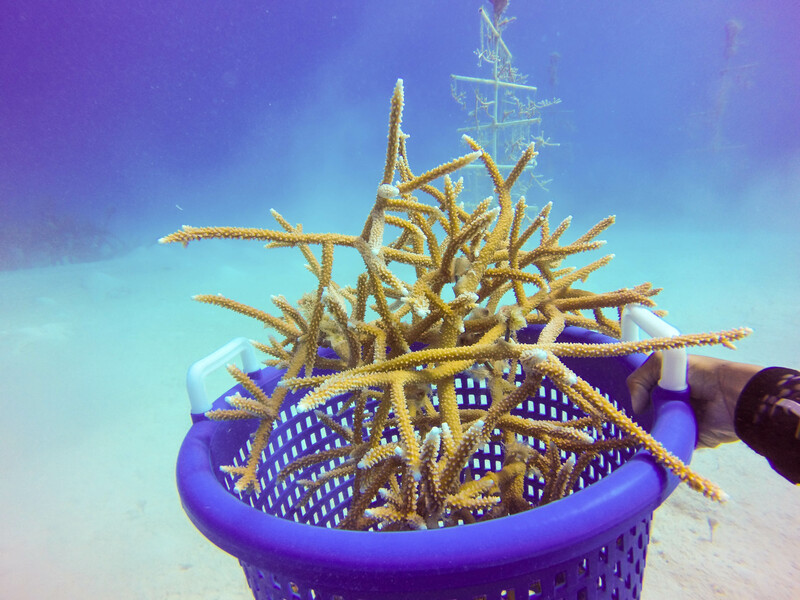 New approaches including the use of coral nurseries, microfragmentation, and culture of coral larvae show much promise to help rebuild threatened coral populations and help them survive the threats that they will increasingly face over the next century. Complementary efforts to restore key species, like the long spined sea urchin Diadema antillarum will also make Bahamian coral reefs more resilient to the growing threats they face. The BNT is excited to have Dr. Craig Dahlgren of the Perry Institute of Marine Science (PIMS) as a guest speaker at a Public Meeting on Wednesday, October 11th , 7 p.m. , The Retreat , Village Road. Dr. Dahlgren will share his research on the health of Bahamian Coral Reefs as well as conservation measures that are taking place across the country to protect and restore our reefs. Please join us! All are welcome!